Northwest Pa. and has been pleasing audiences for over 30 years. Their performances are lively, engaging and feature a high level of audience participation. 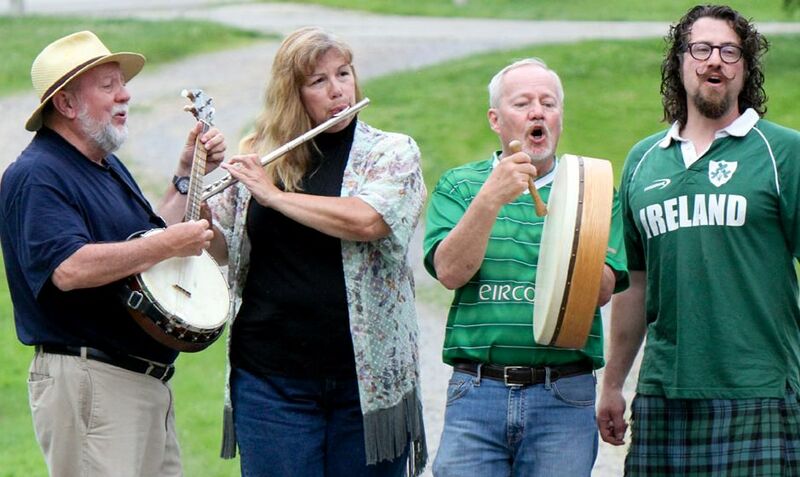 The band specializes in Irish ballads but their song bag includes plenty of Scottish, Australian, and Canadian songs as well as familiar Irish-American favorites and American folk tunes. County Mayo was formed in the early 1980’s and is named for the county in the West of Ireland where two of the members have roots. The musicians entertain at festivals, pubs, concerts, conventions, schools, parties and family events including Irish weddings and wakes. Ted Miller paints pictures with his voice and brings Irish stories to life. order to better understand each song. Marcy Meiers plays flute, tin whistle, piccolo and bodrhan. Brad Campbell is the band's token Scotsman. he is an exceptional vocalist. ​music to growing up during the folk music revival of the 1960’s.